Skip hire services are considered to be a revolutionary solution that can solve your garbage removal worries. These services have become the best means of disposing large quantities of garbage to landfill while maintaining a healthy environment. 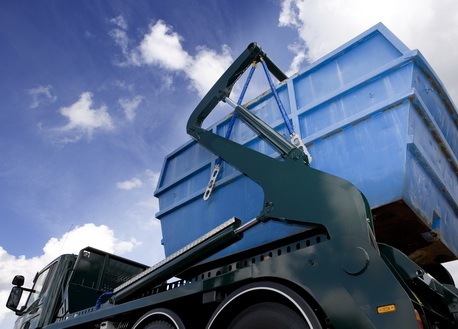 Easy Go Skip Hire is a leading service provider of skips to gather waste in E4 Chingford and its surroundings. When it comes to hiring the right skip, it is important to select the size of the skip that can help you to clear the area. Our experts are always there to guide you with what exactly will suit your needs and make the process of cleaning even easier. When you hire skips from us in E4 Chingford, you can have a peace of mind and can be sure that your waste will be disposed by the most professional team in an economic, efficient and environmentally friendly manner. Our wide range of skips including mini skips, maxi roll on and roll off skips are ideal for carrying bulk material. We also offer skips of different sizes that fit onto most residential driveways. Whether you have household waste or solid waste from a construction site, you can rely on our services and we will offer our best services as fast as possible. Easy Go Skips Hire aims at effective recycling of waste while continuing their unwavering commitment to reducing waste as well as contributing to a healthy and comfortable life. Our staff are always willing to solve your queries any time. All you have to do is to call us and tell us about your requirements and we will surely help you with the best solution. So don’t worry about your junk anymore as we are ever present with our cost effective services!